Imagine a development where all the world’s most renowned architects including Norman Foster, Daniel Libeskind, frank Gehry, work together. Would this be a smashing success or too many chefs in the kitchen? After near thirteen years, the New York’s One World Trade Center is finally topped out. The redevelopment was colossal in scale large and involved many different buildings. Furthermore, with the many “Starchitects” working in one project, the final outcome was bound to be highly anticipated. Among the many celebrity architects is Daniel Libeskind, an American Architect of Jewish ancestry who designed the Jewish Museum in Berlin and the City University Run Run Shaw Creative Media Center in Hong Kong. Libeskind beat out other contestant to win the World Trade Center masterplan competition. His design concept was to turn the original twin towers footprint into a memorial. All five of the office buildings were to be located on the northeast side. Memorial Garden was designed by the young Michael Arad. His concept of “Reflecting Absence” features two thirty-foot deep voids, symbolizing the absence of the fallen Twin Towers. 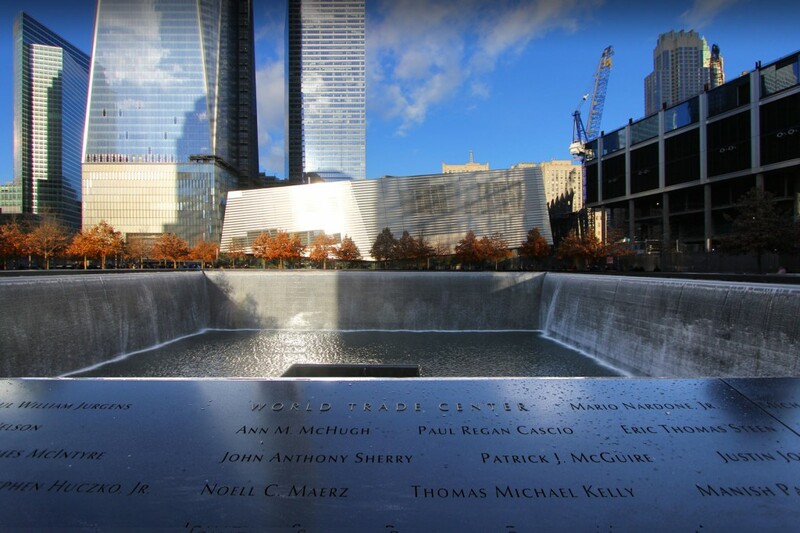 The emptiness profoundly expresses the tragedy of the September 11 attack. The redevelopment also includes a transportation hub designed by Spanish architect Santiago Calatrava. The inspiration for his design is a “bird in flight.” The building, a trademark Calatrava brand of structural expressionism, features glass-and-steel wings that allow natural sunlight to penetrate down to the sixty-foot deep train platform below. The most eye-catching among the various structures is One World Trade Center. 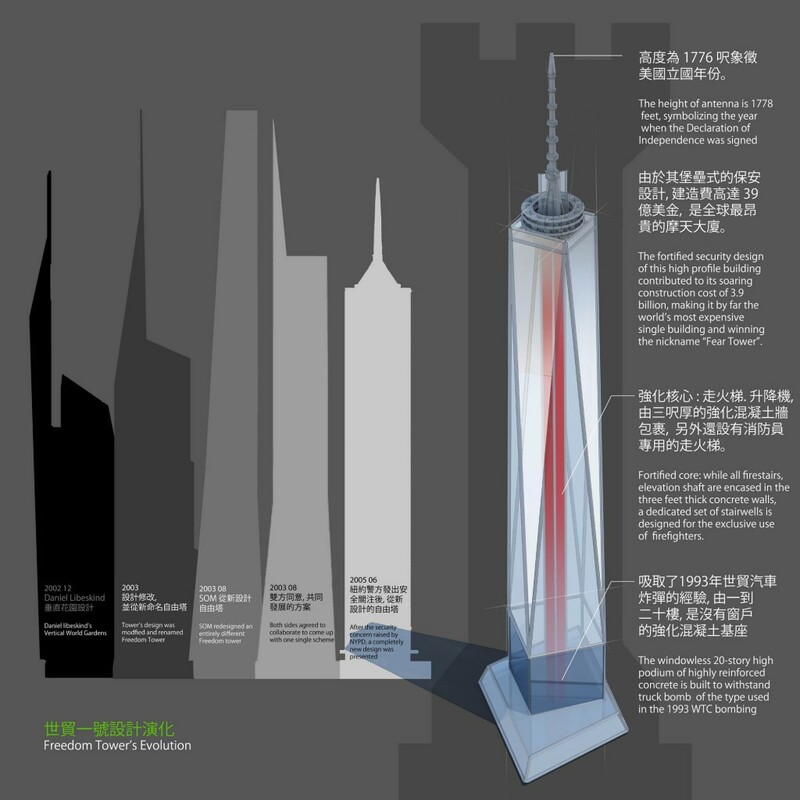 The 104-story skyscraper is co-designed by Daniel Libeskind and SOM, a leading global architecture firm whose works includes the Hong Kong Convention and Exhibition Centre. The iconic tower will soar to 1776 feet, signifying the year when the Declaration of Independence was signed. 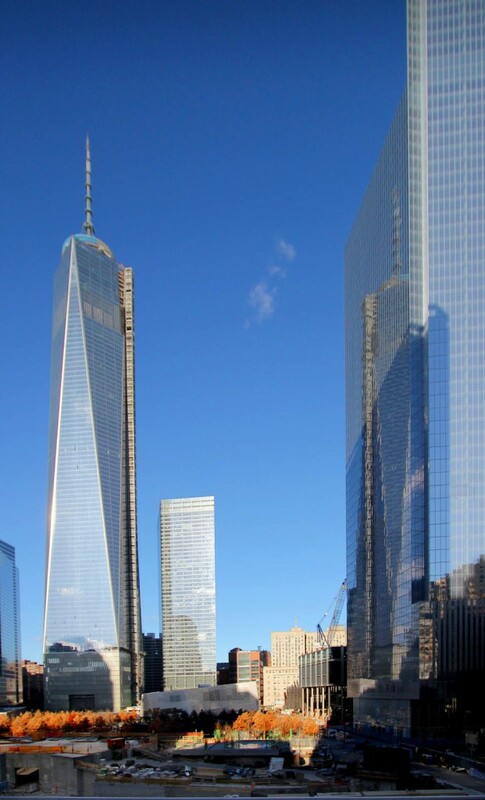 Originally, the skyscraper was once named “Freedom Tower,” symbolizing America’s resolve to stand up against terrorism. However, the structure was later renamed One World Trade Center for fear of scaring off tenants. 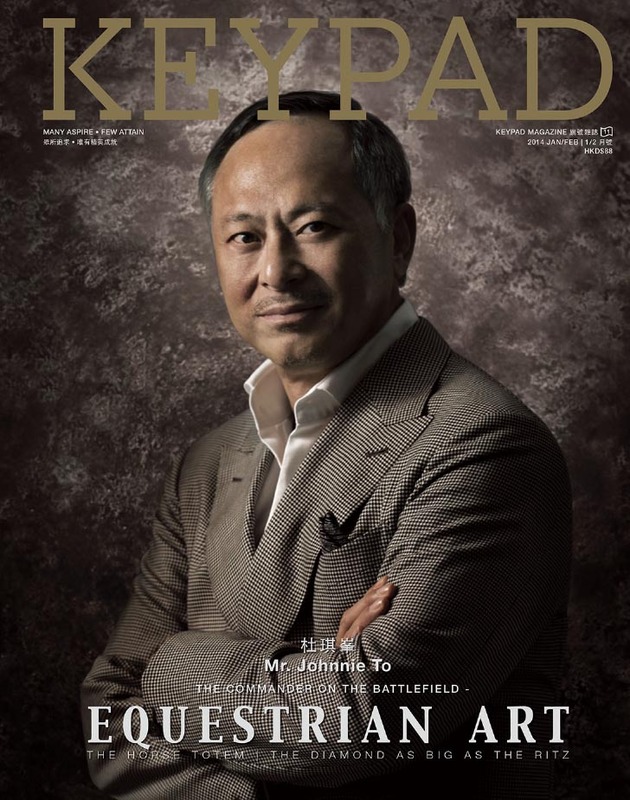 Nevertheless, when you put several Starchitects in the mix, challenges are sure to arise. The first problem was the battle between the two Prima Donnas designing One World Trade Center. Libeskind and SOM could not agree on anything. Their public feud attracted a lot of unwanted media attention. At one point, Libeskind ordered his staff to raid SOM office. They reportedly snatched drawings and took photographs of models over the protest of SOM. The New Yorker Post called it the “Watergate break-in”. The odd couple came to an agreement in 2003 and construction was finally able to begin. Then, the New York Police Department suddenly issued a report citing that the new design failed to comply with the anti-terrorism security standard, thereby sending the design team back to drawing board. Even the ceremonial cornerstone laid by the New York State Governor George Pataki had to be quietly removed from the site. 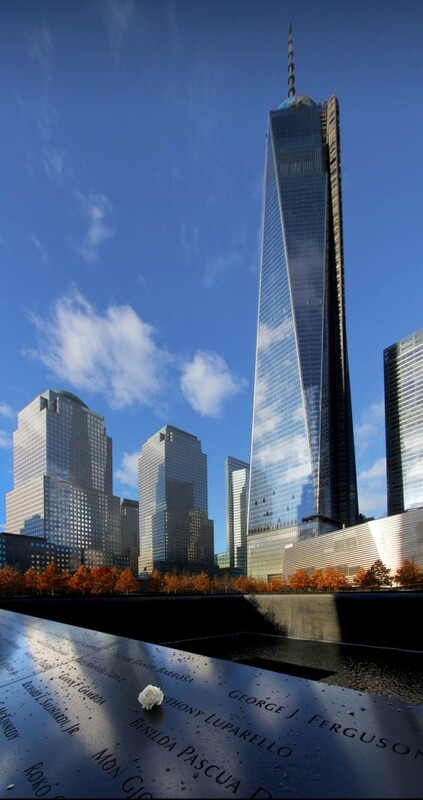 The final design of One World Trade Center is the building we see today, a modern reinterpretation of an obelisk. Problem is, this kind of symmetrical building is suited to be placed on a common axis which is absent from the original master plan. With the tower located in the northeast corner, the new building form is now somewhat incompatible with the rest of the elements of the overall site. The other four office buildings have their own unique styles but they do not seem to communicate with each other. The lack of dialogue among them makes them, at best, a cluster of interesting buildings which happen to be next to each other. Calatrava-designed transportation hub has a unique yet elegant bird-like form. However, its proverbial wings are clipped by being squeezed between two skyscrapers. This results in the structure looking like a caged bird. While each individual building is convincing in its own right, there is a lack of coherence among them. Several disconnected structures are now lined up next to one another, making the overall project look more like a World Expo of Architecture. This lack of unity can only be put down to a poorly-coordinated plan. 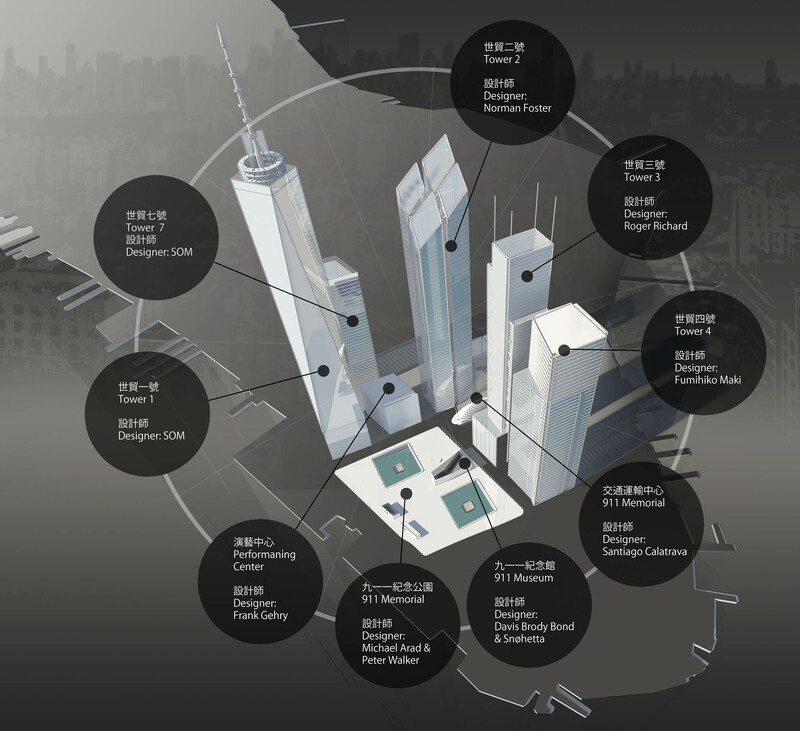 The World Trade Center redevelopment has been a mission impossible from the start. The project has to fulfill many purposes. It needs to demonstrate New York’s resilience in the face of terrorism, without making itself an open target. It needs to commemorate the tragedy of September 11, while restoring the area status as a financial nerve center and reconstructing the world’s most famous skyline. Not only does it need to revitalize lower Manhattan, it also needs to be a commercial success. With so much baggage to carry, it is not surprising that thirteen years after the attack, the project is still not completed. 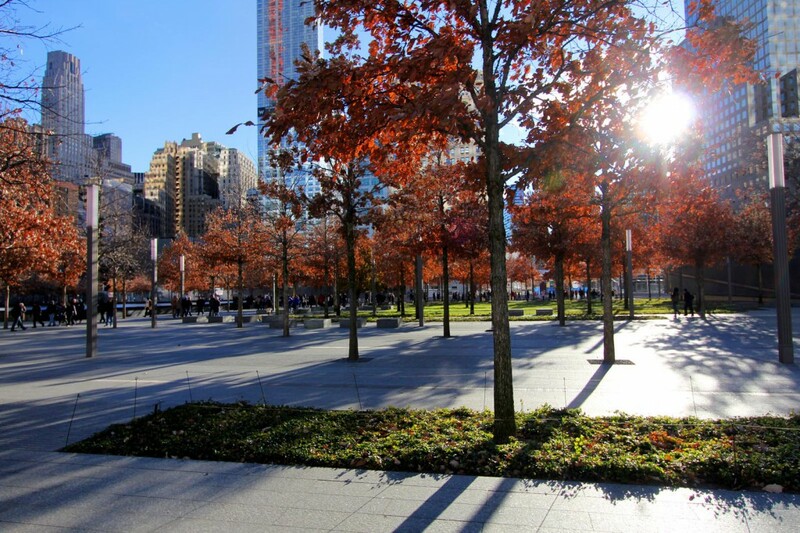 No doubt criticism and maintenance headache will continue to beset the World Trade Center site in year to come. Cool article buddy. Please write more!